Kore’den fotoğraf teknolojisinde devrim !.. Kore’li SD-Optics şirketi dijital fotoğrafçılıkta devrim yaratan bir teknolojiye imzasını atmış durumda !.. Videodan izleyeceğiniz üzere bu teknolojinin uygulama alanı da çok geniş. Vari-Focusing technology of MALS (Micro Mirror Array Lens System) is an unprecedented general Vari-focusing (hereinafter referred to as ‘Auto focusing’) technology as using Actuator VCM OR Piezo. 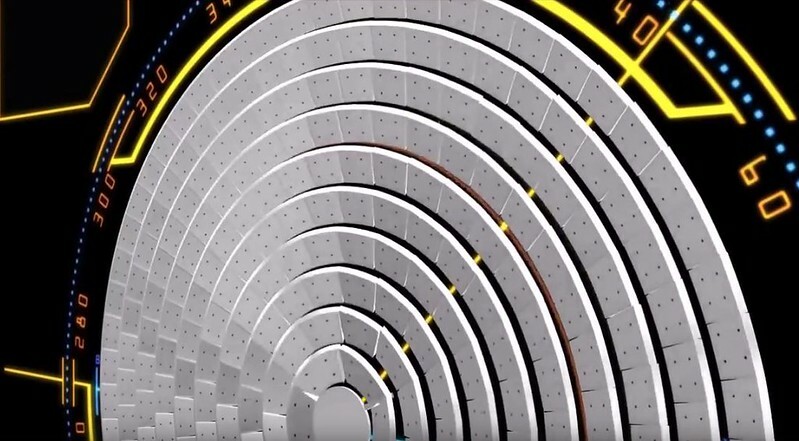 ▷It is a way of using MEMS(Micro Electro Mechanical Systems) based multiple semiconductor Mirrors which can focus automatically through modifying its own shape. ▷LENS used in optics is basically made by plastic or glass for Auto Focusing on these optical systems is required LENS + Actuator. In the case of classic optical system, in order to move the lens bundles to adjust the relative distance of Image sensor for auto focusing, there many constraints are detected in operating speed (less than 100 Hz) and the service life (less than several thousand times). 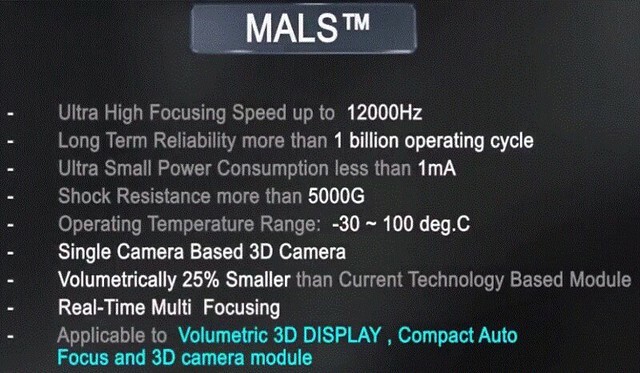 ▷However, SD OPTICS has developed MALS LENS as Auto Focusing lens as built-in itself.In addition, variable speed and service life of the Actuator would have hundreds, thousands of times more performance compared to existing methods. ▷Relating to this technology, there are 56 US patents and 92 worldwide patents. Bu yazı Haberler içinde yayınlandı ve af hızında devrim, otomatik odaklamada devrim, SD-Optics, SD-Optics Kore, sensör teknolojisi olarak etiketlendi. Kalıcı bağlantıyı yer imlerinize ekleyin.